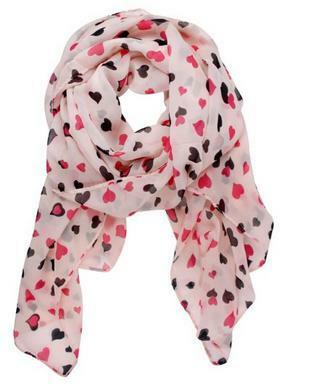 Sweet Love Heart Chiffon Scarf Just $2.59 SHIPPED! You are here: Home / Great Deals / Amazon Deals / Sweet Love Heart Chiffon Scarf Just $2.59 SHIPPED! Head over to Amazon and get this Sweet Love Heart Chiffon Scarf for just $2.59 shipped! Select pink or apricot. This versatile shawl can be worn in many fashionable ways (wrap for one circle, knot together or just loosely muffled, any way you like), as it is long enough, it can also be shaped to a scarf or a shawl. Ample size and well-made to be wrapped, knotted and draped without wrinkling. Thanks, Adventures of a Couponista!